Eon Alter was a game I heard a bunch about from my blogger/twitter friend Talarian. That's because he's a member of the dev team! I had heard a bunch but I hadn't ever seen the game in action or gotten hands on time until PAX. It's a really cool concept. Eon Alter is a multiplayer simultaneous turn based RPG that you control with whatever phone or tablet you have on hand. My brother and I played it together, me with my iPhone and him with his Android phone. All your controls are on your smartphone/tablet screen but the action is actually taking place on the main computer monitor. 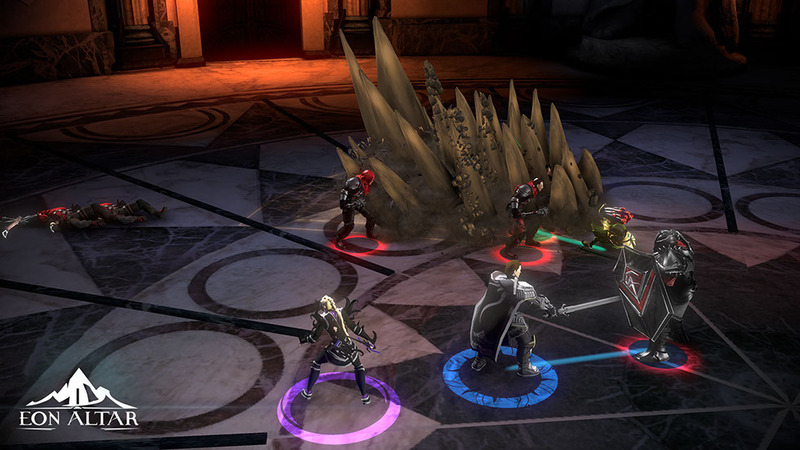 All the enemies simultaneously take a turn, and then the players all get to take their turns simultaneously too. That means that even though it's turn based you're never waiting long for the next thing to happen. It's obviously still in early access since it's a bit rough around the edges but it's easy to tell the core hook of the game is there and working well. We had a bunch of fun plowing through waves of enemies in combat mode on the show floor. For playing the game we got Steam early access keys, so I tried story mode when I got home too. Every player has their own secret objectives displayed on their personal screens. It's a really cool design decision and I'm excited to see what they do with it. 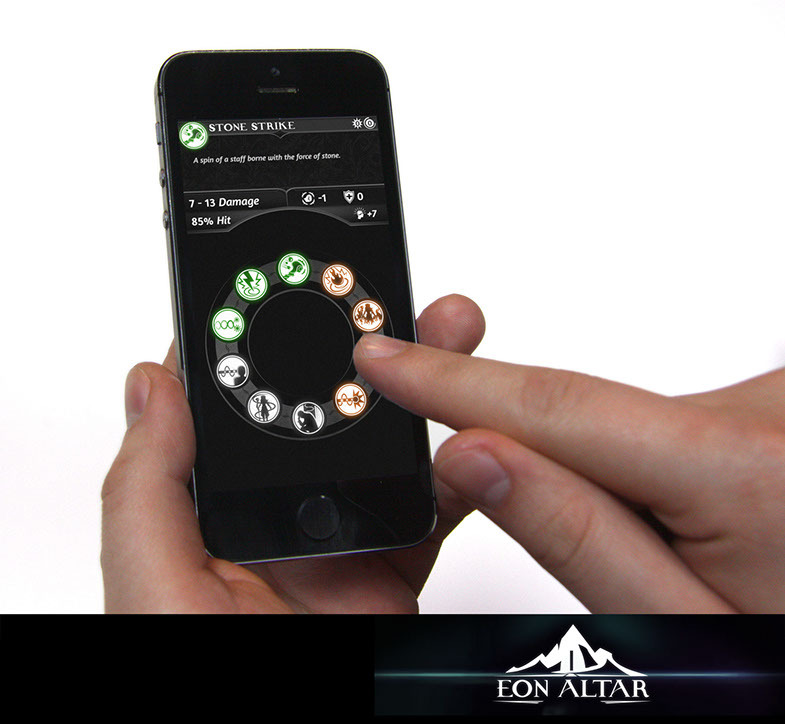 While it's way too early to make a ruling on Eon Altar it is most definitely a game to keep on your radar going forward!